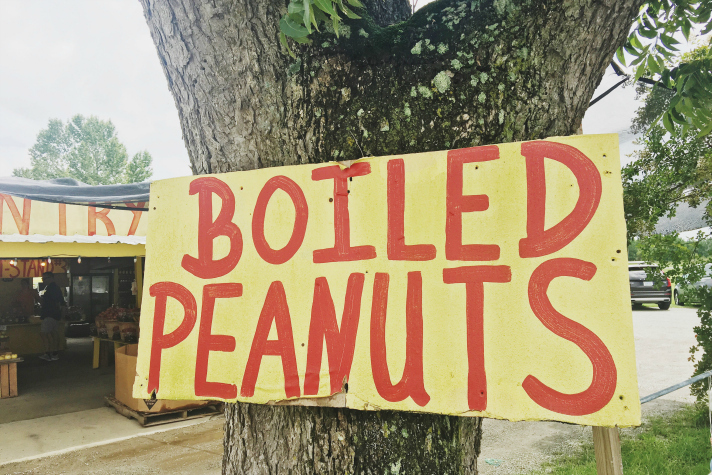 We recently made a mid-week road trip down to Kinston, North Carolina. It was a bit of a final farewell to summer and spontaneous for us — today we wanted to share some of the highlights and our favorite snaps from our stay here on the blog. With a bit of vacation time on our hands, we decided to build this little excursion around one of our favorite TV shows, A Chef's Life. 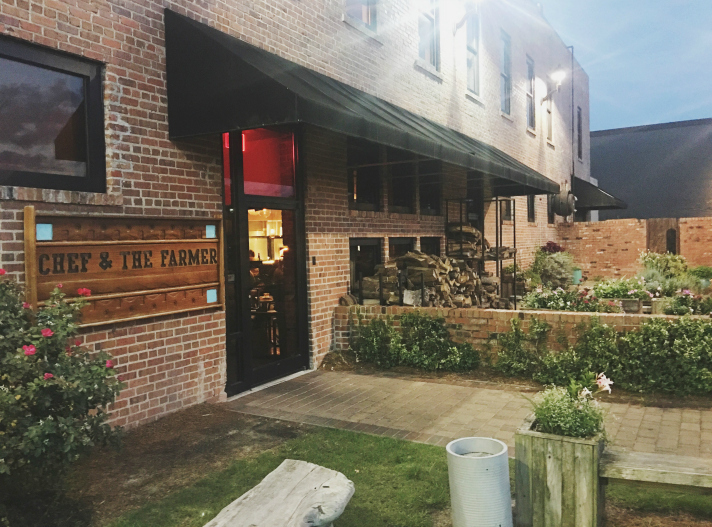 The show's premise follows Vivian Howard and her family's journey of opening a suite of farm-to-table restaurants in the Kinston area. Over the last 5 years watching and falling in love with this documentary-style story, we've always thought about how fun it would be to make the drive down south to see it all in person and eat at her flagship restaurant, The Chef & The Farmer. So that's exactly what we did. 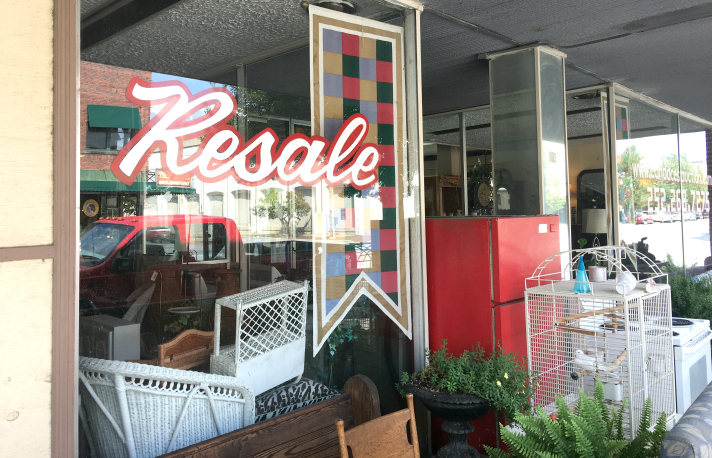 Kinston is just 3 hours away from Richmond, so we took the slow country road route with ample stops along the way to pop in and out of farm markets, antique and thrift shops. 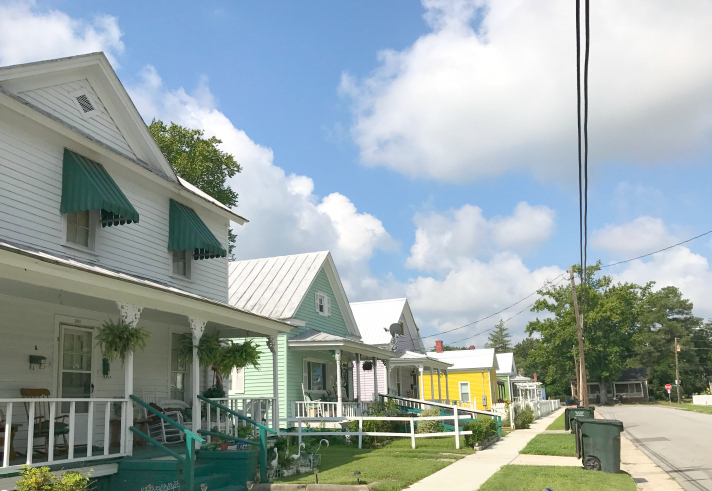 We'd booked a quaint Airbnb that'd caught our eye for its walking distance proximity to the historic downtown area where you'll find Vivian's restaurants. It made for a nice landing spot between exploring and eating (lots of eating). 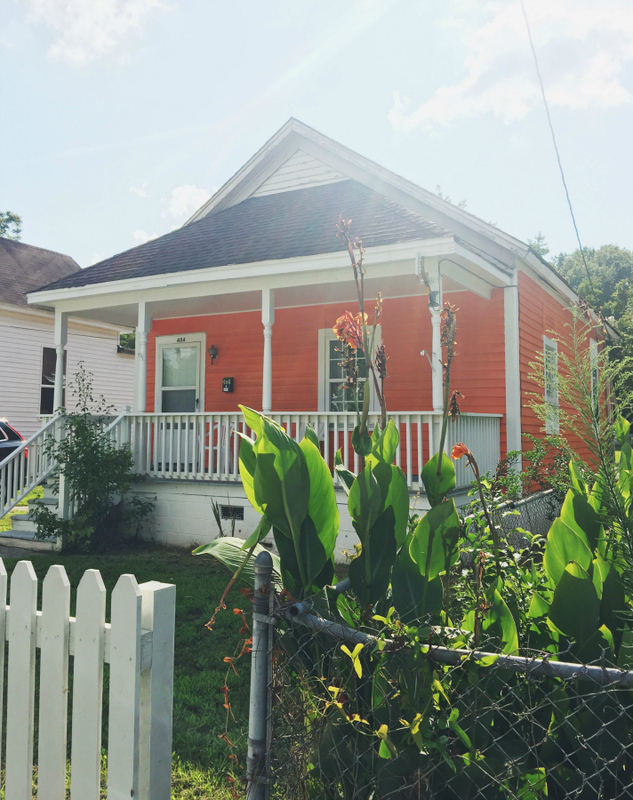 The cottage was situated on a quiet street among other historic mill-style homes in the midst of a neighborhood in a transitional phase — some completely renovated, others in need of some love. 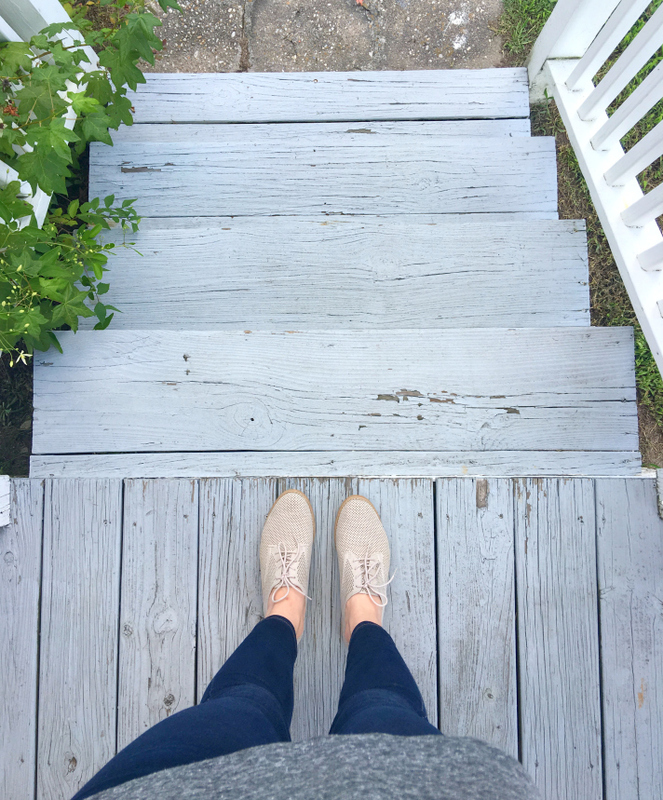 While walking the sidewalks, we had fun opening up our Zillow app and dreaming about what it'd be like to scoop up one of the character-filled "needier" homes, listed to the tune of 18-30K as a rental or small escape. Ultimately we both agreed this wasn't the time or place, but these are the types of things we love to dream about. 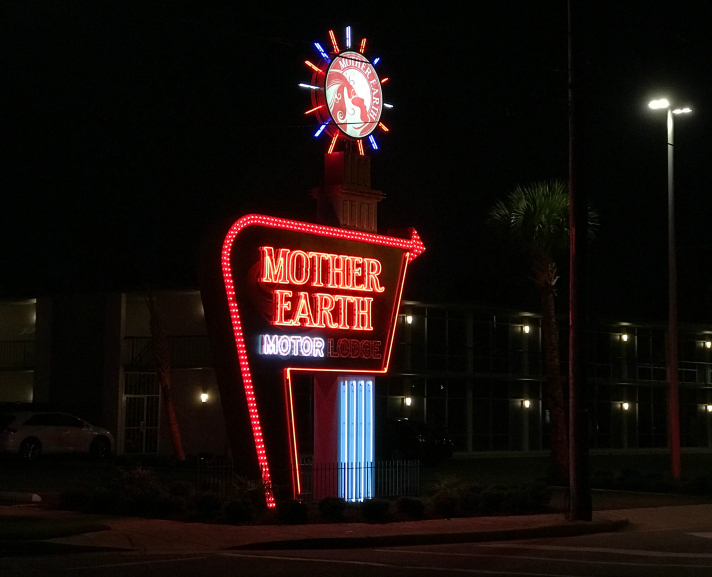 Just a few streets away and situated in the historic downtown area where the O'Neil Hotel and Mother Earth Motor Lodge, both of which have been restored from their former locations (a bank and motel) into modern day lodging with boutique-style amenities. We decided that if we were to make the trip back again, we'd opt for the Motor Lodge, complete with mid century style rooms, palm trees, and a pool to help cool off from the hot, thick North Carolina heat. As for dinner, it certainly met and exceeded our expectations. 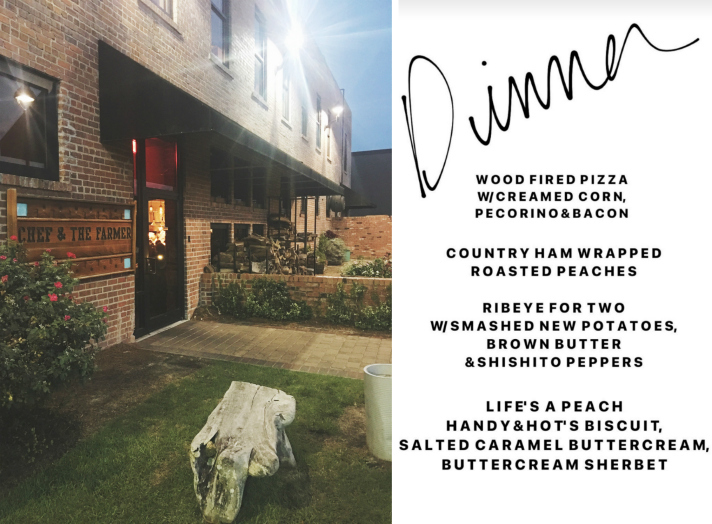 Everything is seasonal, local and has an elevated point of view on classic southern ingredients. We couldn't help but try a little bit of everything from each section of the menu and when we left, we were thankful we'd walked. 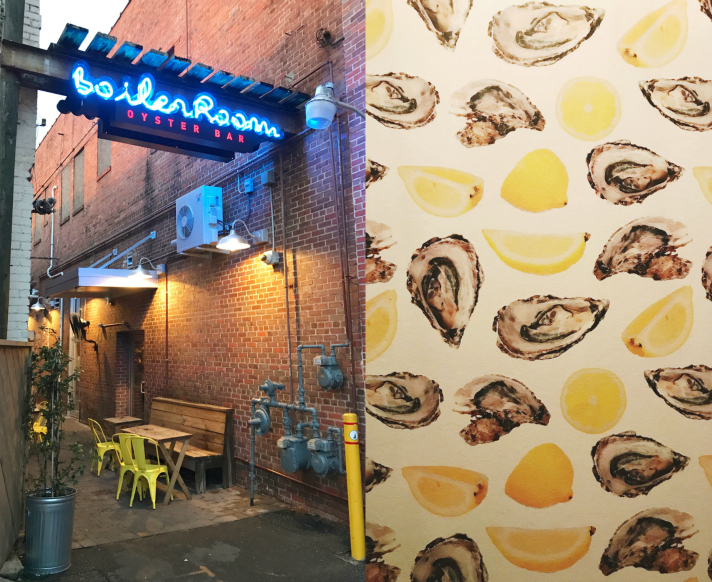 We also popped into Boiler Room Oyster Bar for dinner the next evening, Vivian's second and sister restaurant to Chef & the Farmer. It's an oyster bar, but so much more. It was here I fell in love with the bathroom's oyster & lemon patterned wallpaper and had one of most decadent poutines I've tried in my life. Tim had a soft spot for the fried okra and yes, the butter bean burger and banana pudding (for those who watch the show) are worth the hype. 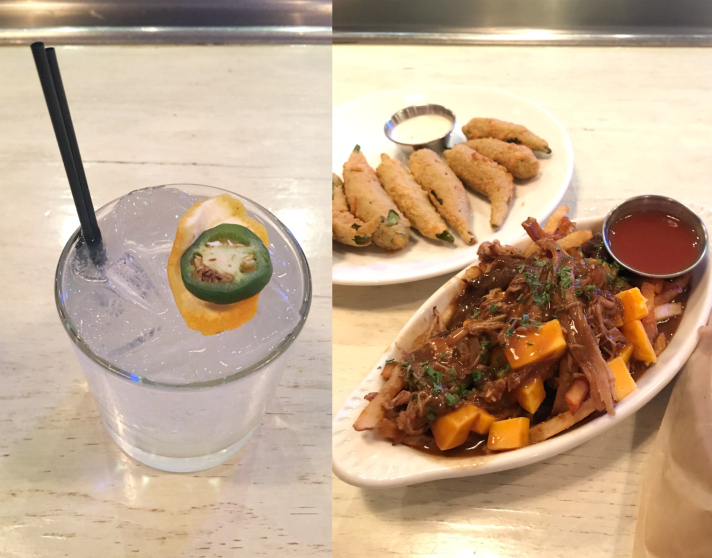 For those that like a bit of a kick, the jalapeno cocktail on the letter board left us both wondering how we could recreate at home. Downtown Kinston and the surrounding areas are enough to hit in a single day, however, we decided to stretch our stay over 2 nights. Doing so allowed us to take our time and make the drive out to New Bern for lunch overlooking the water. As a side note, we didn't expect to actually see any of the cast members from the show during our visit but for the most part, everyone was at the restaurants or around town — from the Maitre D to kitchen chefs and Vivian's husband, Ben. His business card was titled "The Husband," likely from all the folks that come to dine and can't recall his name. Around town, we saw Warren, Vivian's primary farmer and even her nanny, who was also dining at the Boiler Room when we popped in. In a past life, I worked the front of the house in the "celebrity-owned" restaurant scene in New York. It was few and far between that the chef-owner would make an appearance, so getting to see so many familiar faces during our Kinston trip added a touch of authenticity to the show that was unexpected and so welcome. Aside from Vivian's cornerstone restaurants, downtown Kinston is like walking through a storybook. 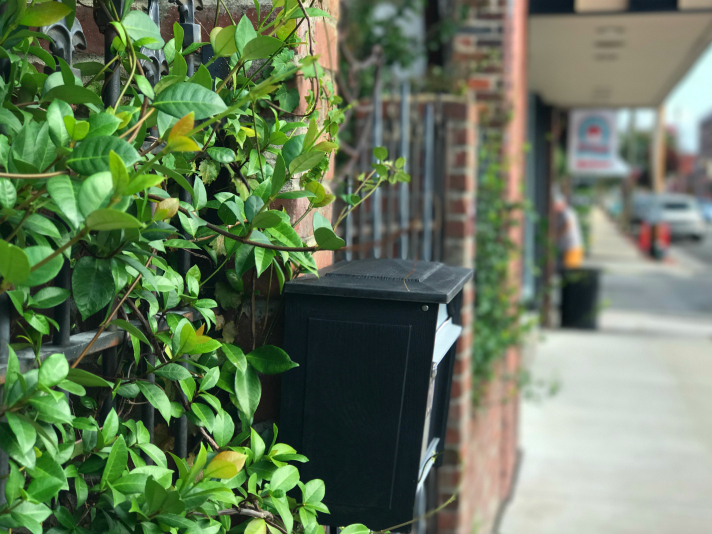 You'll find the local coffee shop, diner, seafood shop, soon to be butchery, and thrift & antique shops all nestled around the town's anchor, Mother Earth Brewery. 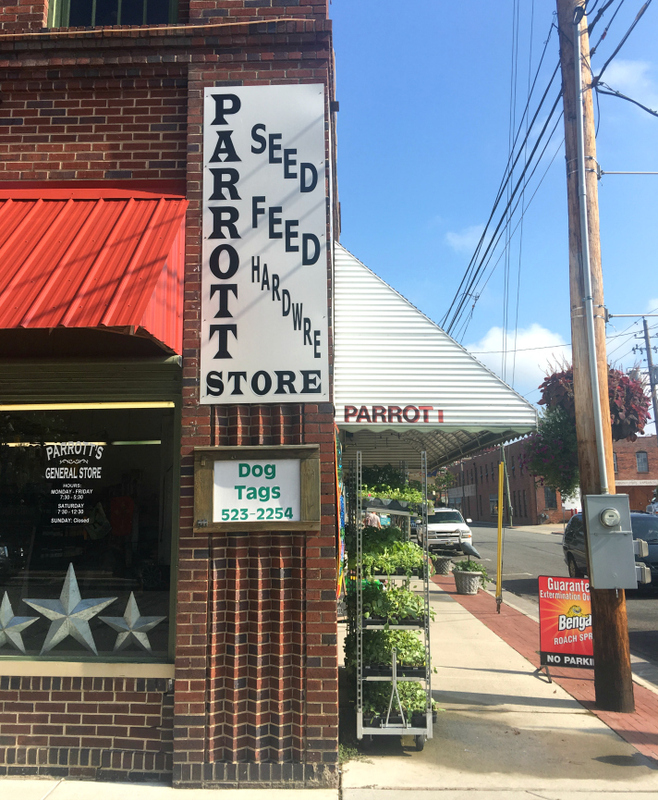 Oh, and we can't forget one of the most endearing general stores we've laid eyes on, Parrott's. Complete with live baby chicks, garden & farm gear and old-style candy by the pound, this is one to stop in and see. Picking up things here and there, we left Kinston with a small collection of souvenirs and Southern pantry goods to bring home. 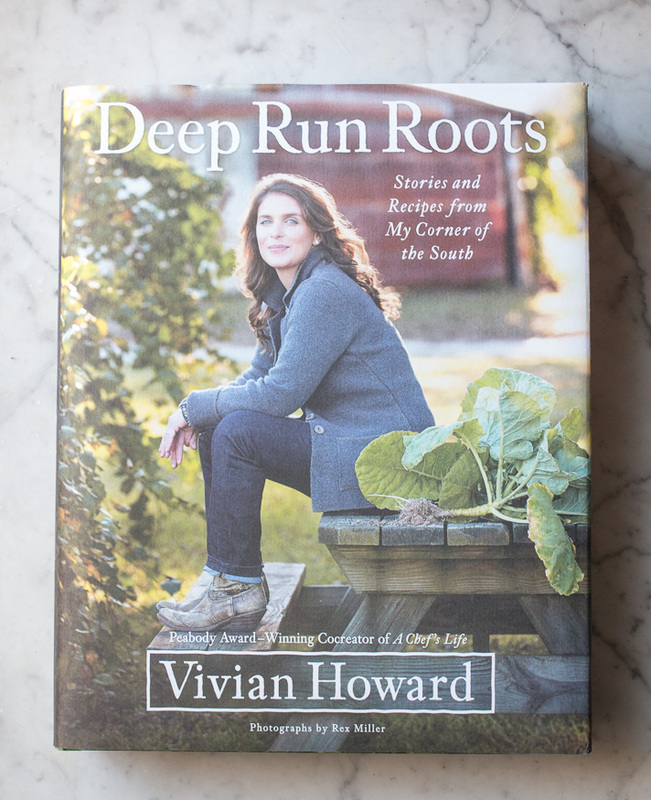 Our favorite is Vivian's debut book, Deep Run Roots. We're eager to bring some of the recipes into our kitchen, which will be a nice reminder of our spontaneous road trip. With collards already planted in our fall garden, we have plans to make collard kraut as a first step. At the end of our stay, we left with a new perspective on making smaller trips like these. 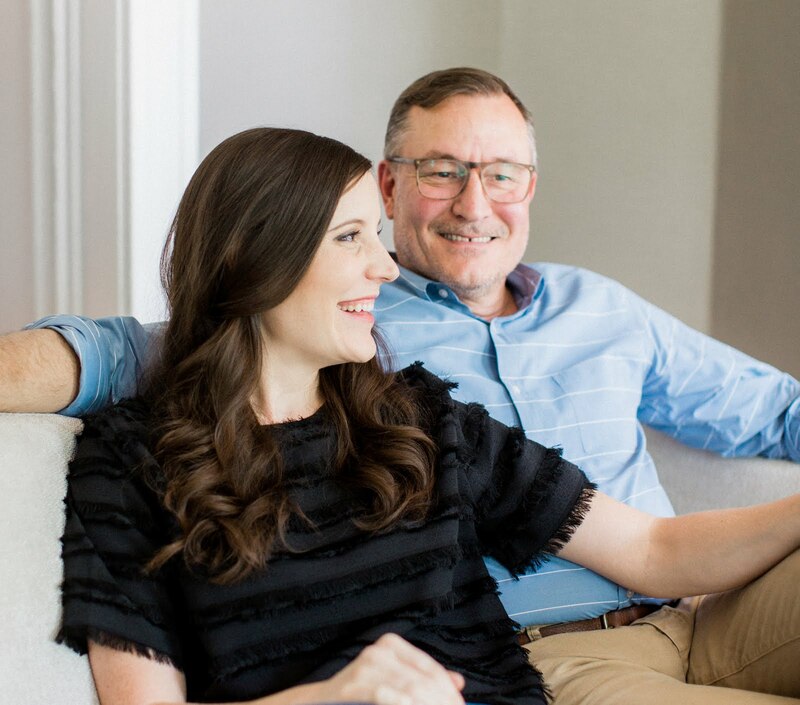 It turned out to be easier than we'd imagined and while close in proximity to Richmond, gave us the feeling of having traveled somewhere completely new together. We hope to make small adventures like these more regular in the future and remind ourselves that wandering a bit off course can be a good thing.